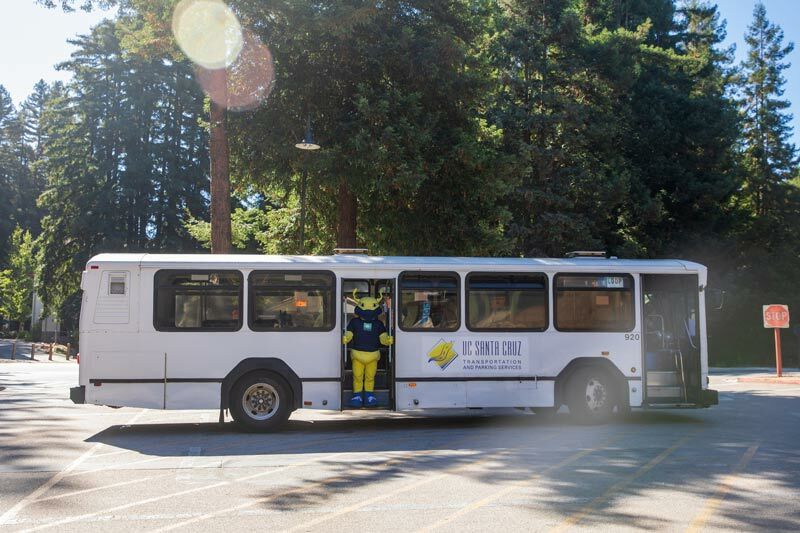 UCSC operates free shuttle buses (Monday - Friday) to transport visitors and students around the campus. The shuttles run on regularly scheduled routes. East to West Loop Shuttle (runs around the full perimeter of the campus) service operates from 7:30 a.m. to 9:40 p.m., Monday through Friday, at 20 minute frequencies.